Deb's Cup of Tea: When? When? When? 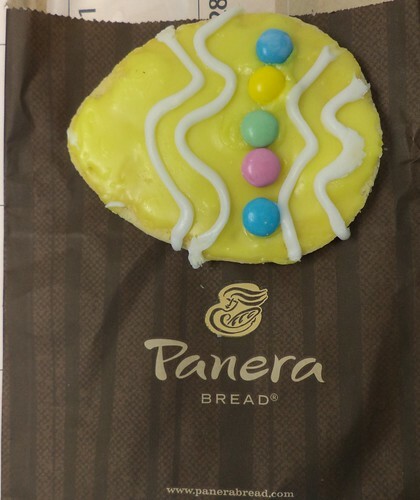 Panera has their Easter cookies out but I have not seen their hot cross buns. Oh goodness. I shouldn't be spending money by going there, but I just want a 6 pack of their hot cross buns. One 6-pack. That's all I'm asking for. I've had these rolls from other bakeries, but I don't care for them as much as I like Panera's. So far, no luck. I haven't seen any in the shops here either. Surely it's almost time to put them on the shelves! I can't wait!